to provide an all round education to all sections of society, regardless of caste, creed or financial status. 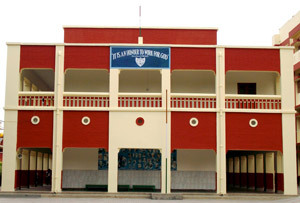 The school is managed by the Sisters of the CONGREGATION OF JESUS in collaboration with a dedicated and competent Staff. Though all are welcome, the institution is meant primarily' for Catholic children.